SALT LAKE CITY — Life is chock-full of transitions, whether large-scale ones such as a new home, job or baby, or more emotional transitions such as a suddenly struggling child, a serious marital issue or an empty nest. Through the possible frustration, confusion or fear, a few life skills may help to objectively look at the new situation, our feelings regarding it and the clear choice of action to make in order to adjust. At times, our life experiences change our lens and we need to “see” differently than before. We can identify personality traits that no longer work for us, or coping skills that need updating. Clearly identifying who we are at the core is key to riding out a rough transition or making a positive but scary new one. That moment of clarity became the catalyst for her losing 40 pounds (and counting), increasing her self-confidence and becoming a health coach. Knowing her true self helped her change the old lens and create a new one to clearly see her personal potential. Whatever your personal transition is, or needs to be, choose one area to begin the change. Perhaps it’s to get organized, tidy finances or strengthen relationships. Focus on that area with clarity and purpose and you will move through the personal transition with greater peace. For those through the initial seven to 10 years, you are likely past the survival stage and into the “Who are you again?” stage. That may mean you need new relationship skills. Years ago I heard the explanation like this: when single, it’s as if you’re navigating a river while paddling a canoe. But when you marry, suddenly you’re out in the open sea in a large ship — and with children comes a whole fleet! To re-evaluate where your relationship is now, consider these three questions: What's working, what's not working, what can we do differently? To re-evaluate where your relationship is now, consider these three questions: What’s working, what’s not working, what can we do differently? Identify the good routines, perspectives and actions you’re both doing or have done well. For example, one couple has soda and chat time every evening, like clockwork. That’s their sacred time. For my husband and I, special overnighters at the Marriott have been a staple to our relationship for years, and have made all the difference. Celebrate one area that’s working, choose to improve one that needs a little work, and volunteer a few ways each of you can do things differently. This makes the marriage shift that much smoother. Whether your situation means all kids are now in school, or an older child is leaving the home, assess what this transition actually means to you. Is it a positive transition? When our oldest child went to college, people would inevitably say, “Are you sad?” And we’d say, Not a chance! Not only had we prepared him for just this experience, but the fact that he had Asperger’s syndrome and was attending college was the fulfillment of everyone’s dream. For a more enhanced discussion on dealing with transitions, watch Connie Sokol's Mar. 20 segment on "Studio 5 with Brooke Walker". Is it a negative transition? Even when it’s not the experience you hoped for, peace and ability to cope can be found in fulfilling what you can control. When a woman had to take her teenager to a rehabilitation facility, she shared that by approaching the process with clarity, faith and understanding, she felt an inherent peace throughout the experience. Is he or she prepared? If you’ve done your best to prepare your child for the next stage of their life, whether it be kindergarten or medical school, feel the peace and celebrate the progress. If they aren’t quite ready, there’s no time like the present. When our oldest went to college, I sent him with a “Mom 2 Go” binder, a simple black and white, non-frilly item that included favorite simple recipes, grocery lists, social tips, health remedies and more. And he actually used it a few times. Regardless, I felt like a stellar mom and he had a ready resource. Making transitions can feel overwhelming, but when we take it in chewable chunks, both daily and emotionally, we can move through them with more steadiness and confidence. For a more enhanced discussion, see Connie Sokol's KSL segment on "Studio 5 with Brooke Walker" live at 1 p.m. today. 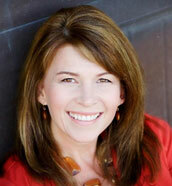 Connie Sokol is an author, speaker, TV contributor and mother of seven. Contact her at www.conniesokol.com.